This one had its challenges, too. 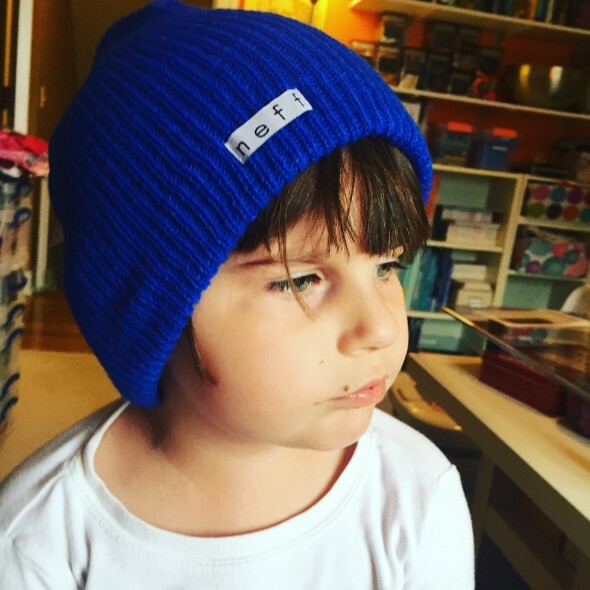 So first, I couldn’t find a long sleeve hooded t-shirt in the right shade of blue. 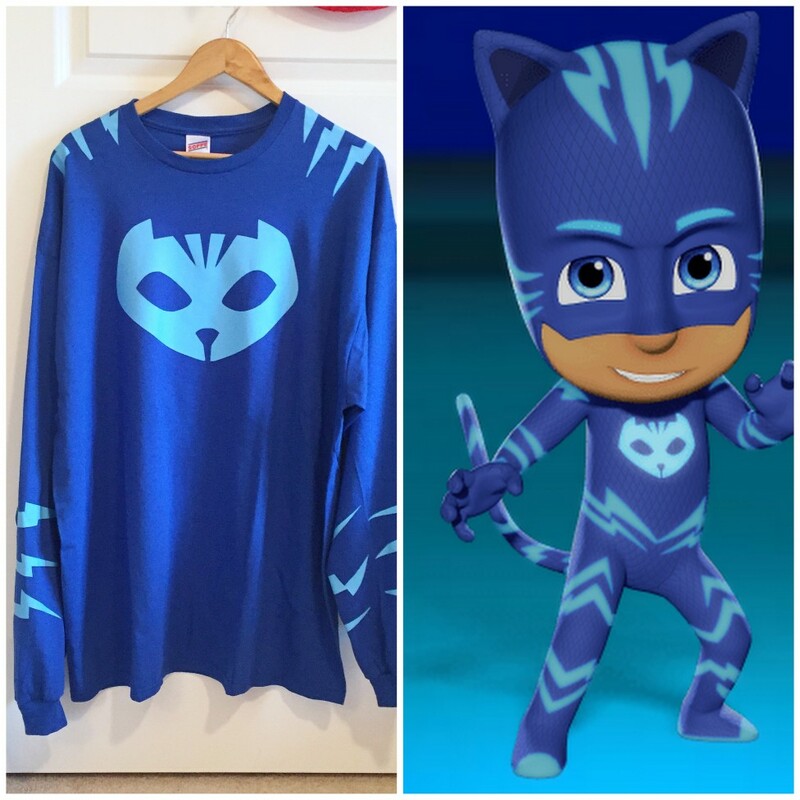 Everything was light blue or navy, and Catboy needed a royal blue shirt. I bought a white one and tried to dye it, but it just turned out a kind of dull light blue. So, I gave in and bought a royal blue, regular long sleeve t-shirt. 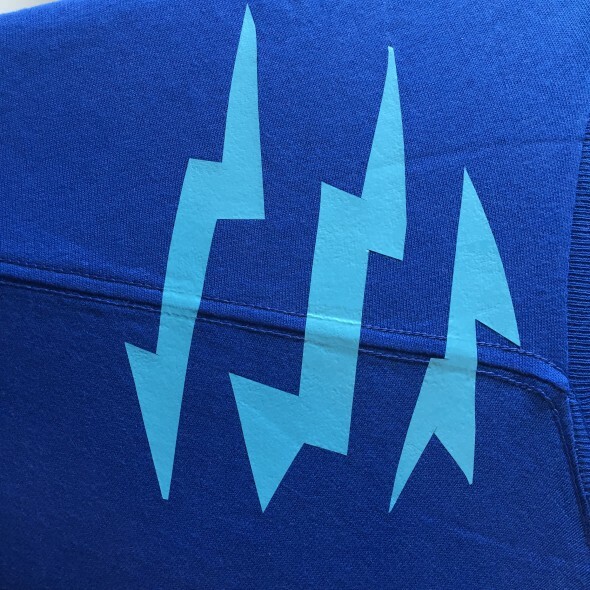 And I used heat transfer vinyl and my Silhouette Cameo to make Catboy’s logo. The cat stripes I cut free hand. 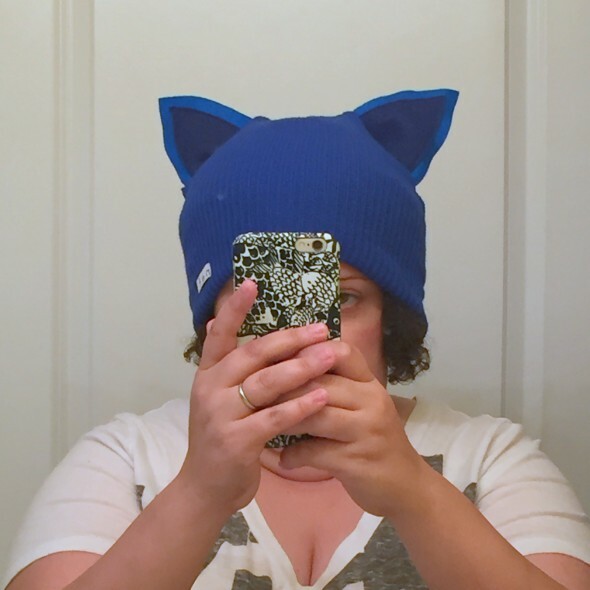 Then I found a royal blue Neff beanie, and I used that to make Catboy’s head piece. Since there are no masks allowed for adults, hoods and hats are what we have to work with. 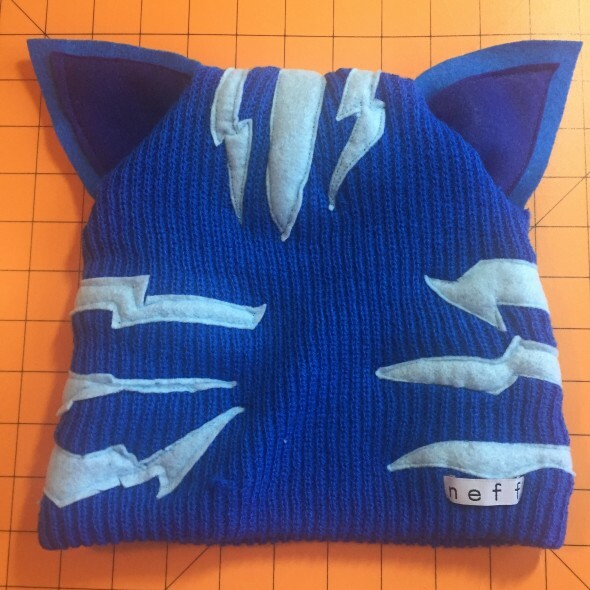 I made Catboy’s ears out of royal blue and navy felt. 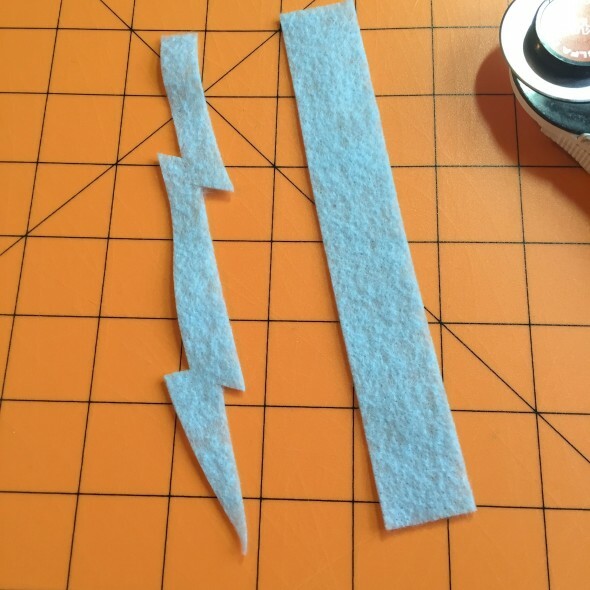 And I cut lightning cat stripes free hand out of light blue felt and sewed them right on to the sides and the top of the hat. It’ll be a little hot, but Adam has a Catboy costume! Now we just put all 3 looks together for the party itself, pictures of that to come!